In the main season, this is in Germany in the months May to August, there is not so much time to think about theories or to read special literature about coaching. but it is the time of practice and developing drills. 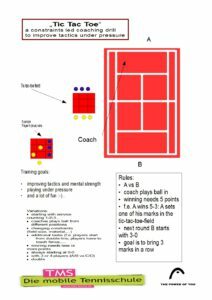 One of my favourite – one of a lo – is the „Tic Tac Toe“ – drill, a constraints led coaching drill to improve tactics under pressure. Training goals are improving tactics and mental strength, to play under pressure and having a lot of fun 🙂 . 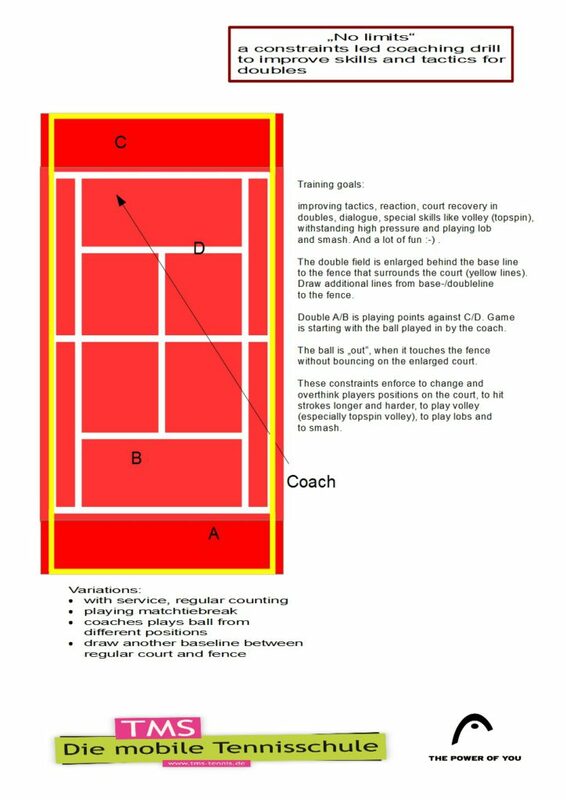 Drill to improve tactics, reaction, court recovery in doubles, dialogue, special skills like volley (topspin), withstanding high pressure and playing lob and smash. And a lot of fun 🙂 . Über die psychologische Wirkung von Worten in der Kommunikation zwischen Coach und Spieler*in. 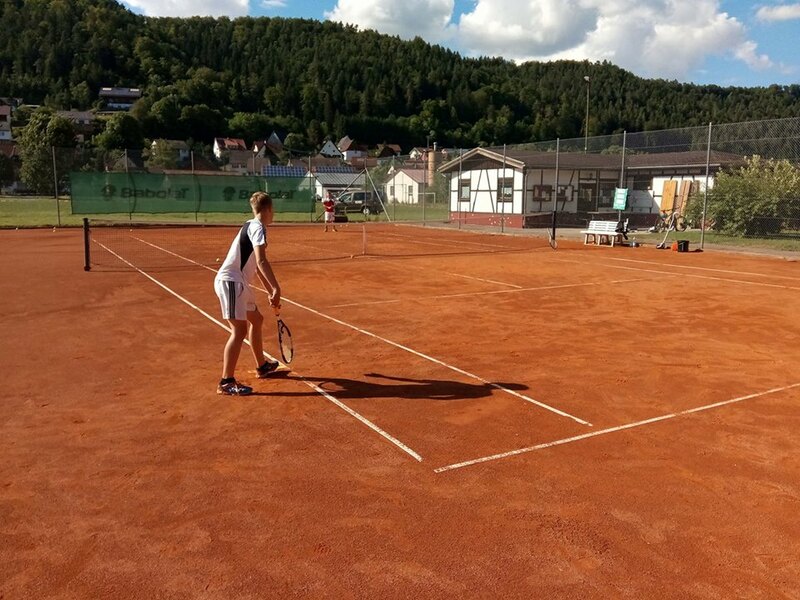 Ein Artikel von Frercks Hartwig in Tennistraining Junior 3/2017. Weitere spannende Artikel zum Kindertraining im aktuellen Heft.